As Al Jazeera reports from the self-proclaimed Free State of Liberland, TCN catches up with President Vit Jedlicka on August 21, 2017, to find some subtle changes in his road to statehood. I caught up with President Jedlicka yesterday to find out how things are going. 1)What is the situation with access to Liberland now – are the Croatian boat patrols still here – is it easy to get to it from the Danube? Apparently my message to the Croatian parliament was heard and all boats and policeman previously present on Liberland Serbian borders are now gone. I have just returned from Liberland after we spent a night there. I believe that it is win-win situation for Croatia and Liberland both politically and economically, and I really appreciate Croatia’s new position. 2)Explain the houseboat policy and how it is going? As there is no agreement with Croatia on opening borders between our two countries yet, the only possible access is through Danube river which is luckily international waterway. Starting settlement with houseboats is the first logical step and it also helps us to avoid problems when the water level of Danube rises. A combination of solar power plant on the roofs of houseboats and hydrogen cells gives us complete independence. 3)Any progress on the diplomatic front? Our support in Croatia and Serbia is constantly improving which is most important. Apart from that, I just came from United States where we have a great team of 12 honorary consulates. We are building up firm support for Liberland both in Congress and in the Senate. During my last visit, I had the honor to speak in front of ALEC. The American Legislative Exchange Council is America’s largest nonpartisan, voluntary membership organization of state legislators dedicated to the principles of limited government and free markets. I am coming to USA soon, as I was invited to speak in front of Congress. Apart from that, I just received an invitation to meet presidents of two independent countries one in the Caribbean and one in Africa, so there is a lot of travelling ahead. 4)Is there anything interesting happening before the end of the summer holidays in Liberland? What should visitors keep an eye on? Next weekend there is a nice educational festival http://liberation.today organized by supporters of Liberland in the nearby city of Osijek. I believe it will be a great experience for anybody visiting. 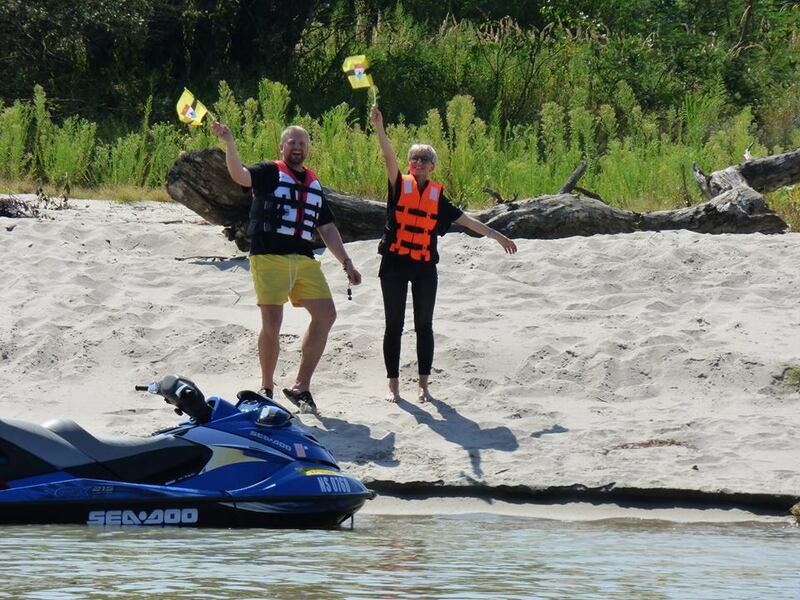 In Liberland we have a constant stream of visitors and five boats ready to visit Liberland. We ask visitors not to come to Liberland through the Croatian side as they might get in trouble with Croatia border police.